This weekend I had the pleasure of seeing the new documentary Catching Babies. Claudia Booker of Birthing Hands DC organized the viewing. The film is about a midwifery school in El Paso Texas called Maternidad La Luz. It’s a unique place–an intensive midwifery program that trains non-nurse midwives in a 13 month program that is extremely hands on. Two of the student midwives in the film describe catching their first babies just months after arriving at the school. Students who complete the program can work as out-of-hospital midwives across the country, depending on the laws in their state governing non-nurse midwives. I actually visited the school in 2007, did an overnight where I shadowed students and midwives as they did their visits and attended births. I went because at the time I was still planning on becoming a midwife, and I was excited by the possibility of attending a school that almost entirely catered to the Latina community. The film is really well done. The filmmakers are both women of color, which comes across clearly in their perspective and in who they choose to focus on as subjects of the film. We see one African-American student midwife, another who identifies as indigenous Mexica and grew up in El Paso, along with two other student midwives as they take their journey to midwifery. 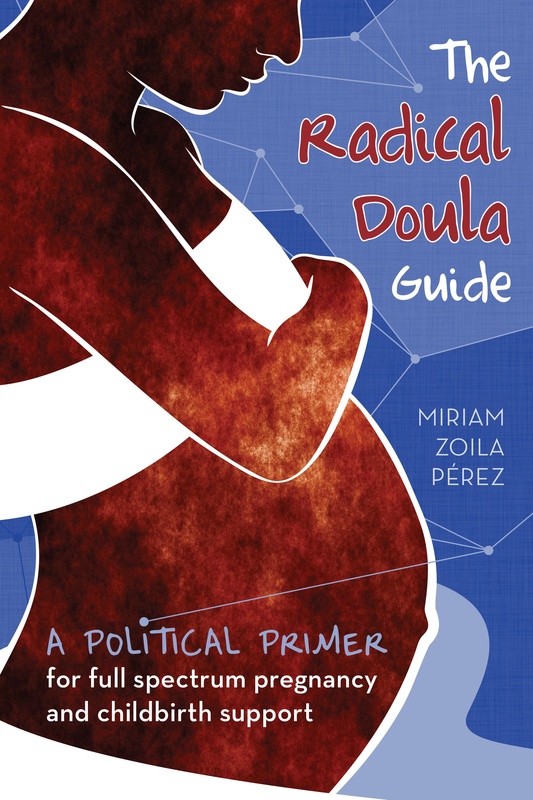 Throughout their stories is the birth stories of the women they support during pregnancy and birth, all of whom are Spanish-speaking women of color. This focus of the film stood in stark contrast to my own experience when I visited the clinic in 2007. Despite being the only midwifery school in the country that offers a full scholarship to one woman of color each term, what I experienced when I visited was quite different than the picture painted by the documentary. When I was there (granted, for only two days) there were only one or two students of color in attendance. The rest of the midwifery students, and the majority of the staff, were white women. But race was only one factor that left me with questions about the experience of the school–I was also surprised to learn that not all the students spoke Spanish. I shadowed one student midwife who clearly was nowhere near fluent, and it caused a lot of communication problems between her and the patients she was attending to. I left that experience feeling some dis-ease with the seeming divide between the students attending the school, and the women getting care there. One of the reasons that MLL appeals to midwifery students is because the incredibly high volume of births allows folks to get through their training at much quicker pace than other schools and birth centers that see only a trickle of births in comparison. These questions of language capacity, cultural competency and race are true in health care settings around the country–particularly teaching settings. All of the hospitals I have volunteered in as a doula have been teaching hospitals, and all of them have attended a high percentage, if not a majority, of Spanish-speaking folks. The student doctors and residents have not mirrored the demographics of the population they serve, either in language ability or race. It’s hard to say what the whole picture is at MLL now, many years after my visit, from watching this film. There is a scene of one of the head midwives teaching a class to the students in Spanish, and almost all of the midwives and students shown on camera spoke fluent Spanish, regardless of race. There was also one scene of one of the midwives helping another with her Spanish, teaching her grammar. My understanding is that Spanish-language instruction is not a part of the curriculum, and that students are expected to arrive with existing fluency, and that is indicated in the requirements for admission. Despite all these concerns, I still feel strongly that a school and birth center of this type are an incredible resource to the midwifery community, and the El Paso community. I’m so glad this film is out there, and projecting how clearly this space is centered around the experience of the women who birth there. Anyone considering MLL as part of their midwifery education should understand who they will be serving, and prepare adequately. Learning Spanish will likely serve you as a midwife in any setting you end up practicing. See more about the film here, which I believe is still traveling around for screenings. You can also “rent” the film for screenings in your area, and part of the proceeds go back to Maternidad La Luz. If you have experiences studying at Maternidad La Luz, I’d love to hear them! Leave thoughts in comments or email me (radicaldoula@gmail.com) to arrange a guest post. Sending gratitude to you for this. I’m planning to attend Maternidad La Luz next year (initially planned to start in 2010 but… life happened). I’ve seen the documentary and love it. The concerns you share in your article are also may own and I wonder whether it’s changed much since your visit, my own (in 2008), and the documentary.